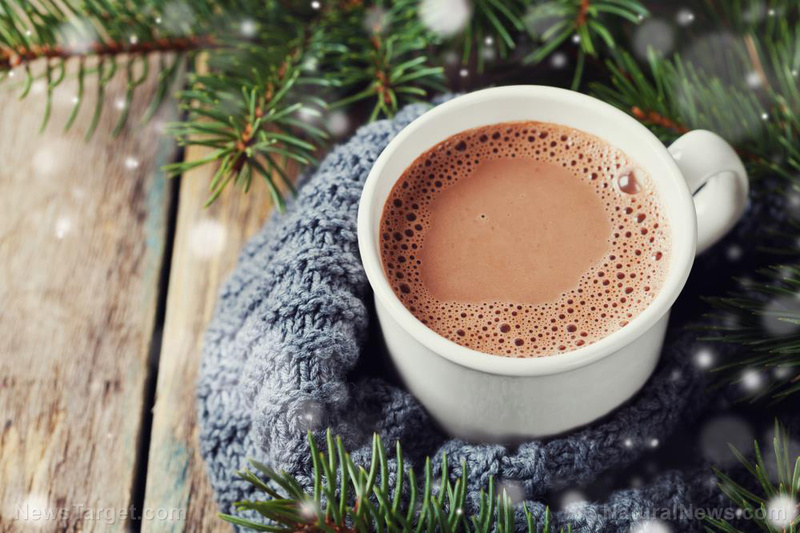 (Natural News) Researchers suggest drinking a cup of cocoa after a night of sleeplessness after conducting a study that concluded that flavanol-rich cocoa can reduce the risk of the negative effects of sleep deprivation. The study, which was published in the Journal of Hypertension, revealed that consuming a cup of flavanol-rich cocoa reduces the negative effects of sleep deprivation on cardiovascular health and cognitive performance. Aiming to determine the potential effects of flavanol-rich cocoa on both cardiovascular and cognitive functions, the researchers gave either flavanol-rich or flavanol-low cocoa to people who had a sleepless night. Two hours after the consumption of the flavanol-rich or flavanol-low cocoa, the researchers looked at the different cardiovascular and cognitive variables. Sleep deprivation also has a negative impact on cognitive performance, particularly on psychomotor vigilance and working memory performance. With the consumption of flavanol-rich cocoa, the working memory accuracy of female participants greatly improved. Based on these findings, the researchers concluded that people who had a sleepless night may benefit from drinking a cup of flavanol-rich cocoa as it reduces the negative effects of sleep deprivation on cardiovascular health and cognitive performance. People become sleep deprived either from not allowing oneself to have enough time for sleep because of work or computers, or due to a physical or mental problem that hinders restful sleep. A poor night’s sleep may make you drowsy during the day, fatigued, and short-tempered. You may also lack focus. While cocoa helps reduce the risk of a night of sleep deprivation, having too many sleepless nights can be detrimental to your health. Undergoing several sleepless nights make the mental effects more serious. It will become harder for you to concentrate and make decisions. You will also start to feel down, and may fall asleep during the day. Additionally, you become more prone to injury and accidents. Research on sleep-deprived people who used a driving simulator or performed hand-eye coordination tasks did as badly as, or even worse than, people who were intoxicated. Continuously having sleepless nights can seriously affect your overall health, making you more vulnerable to serious health problems, such as obesity, heart disease, high blood pressure, and diabetes. Research has shown that cocoa is good for cardiovascular health because it may lower blood pressure, reduce blood clotting, and improve lipid and glucose metabolism. This may be due to its antioxidant and anti-inflammatory properties, as well as its effect on increasing nitric oxide availability, which lowers blood pressure. These studies examined cocoa powder or dark chocolate, and not just any chocolate. To maximize the health benefits of cocoa, it is best to buy it in its raw form. Raw cocoa has four times the antioxidants as processed cocoa. It is believed that the less processed the cocoa is, the more antioxidants and flavanols it contains. Read more news stories and studies on the health benefits of cocoa by going to Chocolate.news.